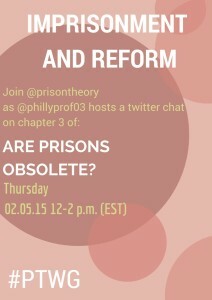 Part 3 of twitter chat on Are Prisons Obsolete? Healing is resistance and it’s also a rejection of the death that is incarceration. While nothing will ever be like it was–what will emerge from this thing has to be better. It has to be more loving, more compassionate, more life-giving and affirming. Holidays can be hell, and we need to create space for and accept that for those of us with incarcerated loved ones celebratory moods come and go, but are always difficult. The best we can sometimes do is try. This year I am trying. 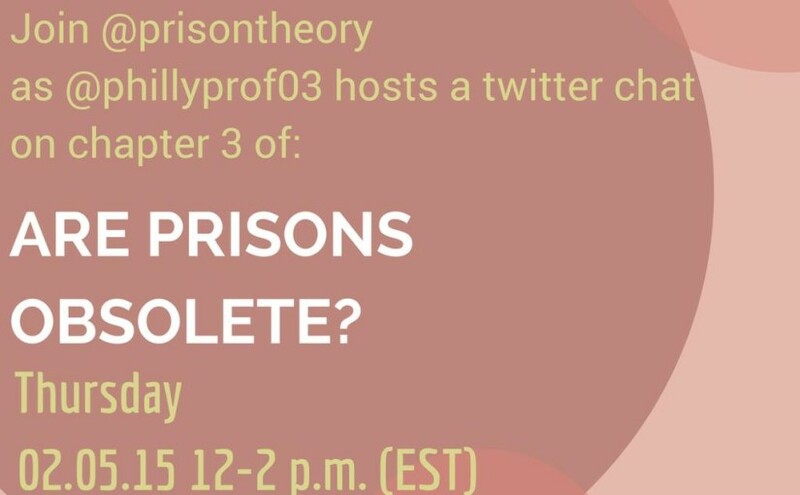 Coming up on Thursday, Feb. 5, 2015 (from 12-2 EST) over on our twitter feed (@prisontheory), we will be hosting Part III of our on-going conversation on Angela Davis’ “Are Prisons Obsolete?” moderated by @phillyprof03. 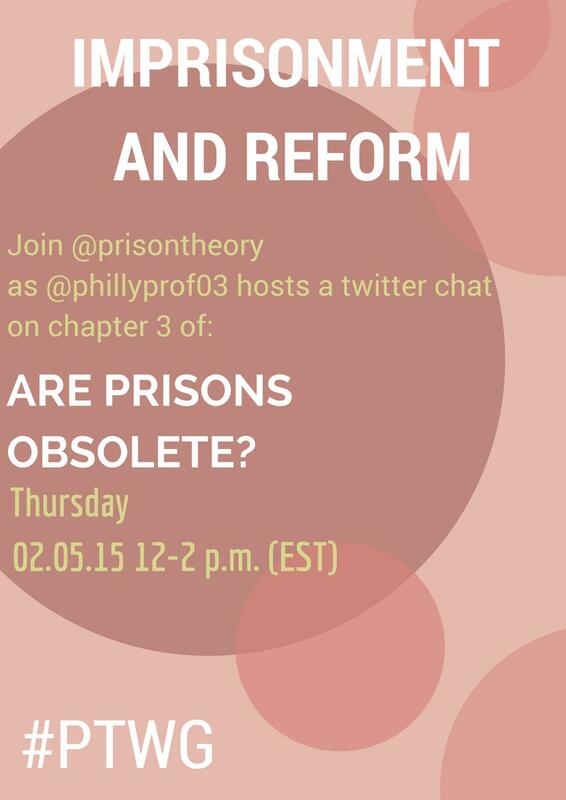 Posted on February 3, 2015 Leave a comment on Part 3 of twitter chat on Are Prisons Obsolete?